Raleigh, NC – Team members at ViUX Systems, a privately held provider of award-winning Managed Cloud Hosting based in North Carolina, have achieved the status of Parallels® Certified Professional for Parallels® Business Automation Standard (PBAS). Parallels Business Automation Standard Certification for ViUX® comes by way of ViUX Systems owner, Jonathan Smith, and other ViUX® Hostmaster Team members having completed recent Parallels Certification online training and passing the Business Automation Standard Certification exam. ViUX has actually used Business Automation Standard from Parallels as their Billing & Hosting Automation System since Q4-2006, so they were naturally very knowledgeable of the system going into the Certification Training. However, their reason for seeking Certification now is based upon an effort to become the preferred Technology Partner with whom to deploy Business Automation Standard for other (smaller or start-up) Hosting providers. 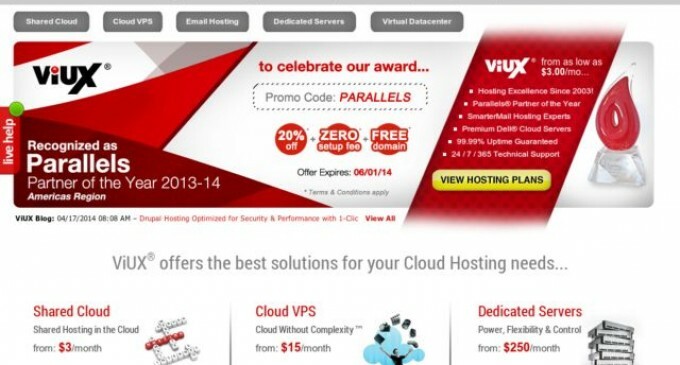 Being that ViUX services are based upon Parallels Cloud Server (PCS) & Parallels Cloud Storage, for which they earlier obtained Parallels Certified Professional status as well, ViUX already has the perfect infrastructure and required expertise to deploy and manage Business Automation Standard and related systems on behalf of other Hosting providers. A partnership with ViUX enables hosters seeking Business Automation Standard to focus on running and growing their Hosting business, while ViUX maintains the infrastructure and provides invaluable guidance on how best to customize and leverage Parallels software to succeed in Cloud Hosting. As a Parallels Certified Professional and Parallels Gold Partner, ViUX is not only able to handle the deployment and management of Parallels Software Systems, but they are also able to issue and bundle all of the related software licenses – making ViUX a one-stop-shop for everything Parallels has to offer. Being Parallels Certified Professionals for both Parallels Business Automation Standard and Parallels Cloud Server, with years of real-world experience and use of these systems for their own growing Hosting business, ViUX is uniquely positioned to aid other hosting providers also seeking to run their hosting business on the same platform. This cuts the time to market, cost, training, and overall deployment effort to a fraction of what would otherwise be required to do the same on their own. The ViUX Virtual Datacenter offering is ideally suited to this scenario, by providing Dedicated Servers (3 or more) on Dell Cloud-Series (C6220) Servers running Parallels Cloud Server & SSD-Enhanced Cloud Storage with clustering and full high-availability failover. When combined with ViUX (now Parallels Certified Professional) expertise gained from over a decade in the hosting business, a partnership with ViUX can be the key to success for a growing host or IT firm.